Our product range includes a wide range of sas sports small sized training bibs scrimmage vests pennies for soccer pack of 6 (pink ), sas sports small sized training bibs, sas sports medium size training bibs, sas sports training bibs large sized pack of 12, sas sports medium sized training bibs and sas sports large sized training bibs. SAS Sports Training Small Bibs Pack of 6 Bibs .Light Weight and breathable.Ideal for all types Of physical Education purposes.100 % Polyester Fabric. Material - Supreme quality polyester mesh.Comfortable to wear .Available in Blue ,Orange ,Pink ,Maroon , Fluorescent Green.Ideal for identification and differentiation of teams in team sports. SAS is a leading brand of sports goods .Manufacture &Supplier of all Types of Sports Commodity. Packaging Details: The package comes a set of Small Six Bibs. SAS Sports Training Small Bibs Pack of 6 Bibs .Light Weight and breathable.Ideal for all types Of physical Education purposes.100 % Polyester Fabric. Material - Supreme quality polyester mesh.Comfortable to wear .Available in Blue ,Orange ,Pink ,Maroon , Fluorescent Green.Ideal for identification and differentiation of teams in team sports. 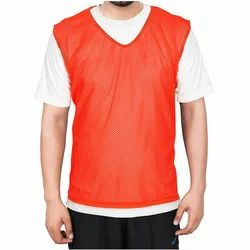 SAS Sports Training Small Size Bibs Orange Color Pack of 6 Bibs .Light Weight and breathable.Ideal for all types Of physical Education purposes.100 % Polyester Fabric. 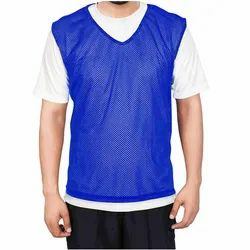 Material - Supreme quality polyester mesh.Comfortable to wear .Available in Blue ,Orange ,Pink ,Maroon , Fluorescent Green.Ideal for identification and differentiation of teams in team sports.SAS is a leading brand of sports goods .Manufacture &Supplier of all Types of Sports Commodity. Packaging Details: The package contains a set of Six Small Bibs. Packaging Details: The Package contains Set of Six Sports Bibs. SAS Sports Training Large Bibs Pack of 12 Bibs .Light Weight and breathable.Ideal for all types Of physical Education purposes.100 % Polyester Fabric. Material - Supreme quality polyester mesh.Comfortable to wear .Available in Blue ,Orange ,Pink ,Maroon , Fluorescent Green.Ideal for identification and differentiation of teams in team sports. SAS is a leading brand of sports goods .Manufacture &Supplier of all Types of Sports Commodity. Packaging Details: The Package Contains Set Of 12 Sports Bibs. SAS Sports Training Large Bibs Pack of 6 Bibs.Light Weight and breathable.Ideal for all types Of physical Education purposes.100 % Polyester Fabric. Material - Supreme quality polyester mesh. Comfortable to wear.Available in Blue, Orange, Pink, Maroon, Fluorescent Green.Ideal for identification and differentiation of teams in team sports. Packaging Details: The Package contains A Set of Six Bibs. SAS Sports Training Medium size Bibs Pack of 6 Bibs.Light Weight and breathable.Ideal for all types Of physical Education purposes.100 % Polyester Fabric. Material - Supreme quality polyester mesh.Comfortable to wear.Available in Blue, Orange, Pink, Maroon, Fluorescent Green.Ideal for identification and differentiation of teams in team sports. SAS Sports Training Medium Size Bibs Pack of 6 Bibs .Light Weight and breathable.Ideal for all types Of physical Education purposes.100 % Polyester Fabric. 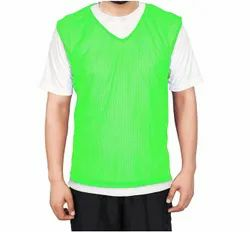 Material - Supreme quality polyester mesh.Comfortable to wear .Available in Blue ,Orange ,Pink ,Maroon , Fluorescent Green.Ideal for identification and differentiation of teams in team sports. SAS Sports TrainingMedium Size Bibs Pack of 6 Bibs .Light Weight and breathable.Ideal for all types Of physical Education purposes.100 % Polyester Fabric. Material - Supreme quality polyester mesh.Comfortable to wear .Available in Blue ,Orange ,Pink ,Maroon , Fluorescent Green.Ideal for identification and differentiation of teams in team sports. Packaging Details: The Package Contains Set of Six Bibs. SAS Sports Training Large Bibs Pack of 6 Bibs.Light Weight and breathable.Ideal for all types Of physical Education purposes.100 % Polyester Fabric. Material - Supreme quality polyester mesh.Comfortable to wear.Available in Blue, Orange, Pink, Maroon, Fluorescent Green.Ideal for identification and differentiation of teams in team sports. Packaging Details: The Package contains pack of 6 sports bibs. SAS Sports Training Large Bibs Pack of 6 Bibs .Light Weight and breathable.Ideal for all types Of physical Education purposes.100 % Polyester Fabric. Material - Supreme quality polyester mesh.Comfortable to wear .Available in Blue ,Orange ,Pink ,Maroon , Fluorescent Green.Ideal for identification and differentiation of teams in team sports. Packaging Details: The Package contains Pack of Six Sports Bibs. Packaging Details: The Package contains pack of 6 Bibs. SAS Sports Training Medium Bibs Pack of 6 Bibs .Light Weight and breathable.Ideal for all types Of physical Education purposes.100 % Polyester Fabric. 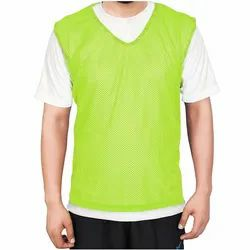 Material - Supreme quality polyester mesh.Comfortable to wear .Available in Blue ,Orange ,Pink ,Maroon , Fluorescent Green.Ideal for identification and differentiation of teams in team sports. SAS Sports Training ExtraLarge Bibs Pack of 6 Bibs .Light Weight and breathable.Ideal for all types Of physical Education purposes.100 % Polyester Fabric. Material - Supreme quality polyester mesh.Comfortable to wear .Available in Blue ,Orange ,Pink ,Maroon , Fluorescent Green.Ideal for identification and differentiation of teams in team sports. Packaging Details: The Package contain set of Six Sports Bibs. SAS Sports Training Extra Large Bibs Pack of 6 Bibs .Light Weight and breathable.Ideal for all types Of physical Education purposes.100 % Polyester Fabric. Material - Supreme quality polyester mesh.Comfortable to wear .Available in Blue ,Orange ,Pink ,Maroon , Fluorescent Green.Ideal for identification and differentiation of teams in team sports. Packaging Details: The Package contains a set of Six Sports Bibs. Packaging Details: The Package Contains Set a Six Sports Bibs. SAS Sports Training Extra Large Bibs Pack of 6 Bibs.Light Weight and breathable.Ideal for all types Of physical Education purposes.100 % Polyester Fabric. Material - Supreme quality polyester mesh.Comfortable to wear.Available in Blue, Orange, Pink, Maroon, Fluorescent Green.Ideal for identification and differentiation of teams in team sports. 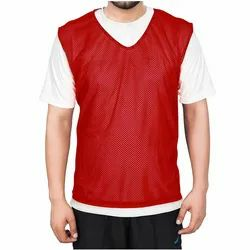 SAS Sports Training Extra Large Bibs Pack of 12 Bibs.Light Weight and breathable.Ideal for all types Of physical Education purposes.100 % Polyester Fabric. Material - Supreme quality polyester mesh.Comfortable to wear.Available in Blue, Orange, Pink, Maroon, Fluorescent Green.Ideal for identification and differentiation of teams in team sports. SAS is a leading brand of sports goods. Manufacture &Supplier of all Types of Sports Commodity.SAS Sports Training Large Bibs Pack of 12 Bibs.Light Weight and breathable.Ideal for all types Of physical Education purposes.100 % Polyester Fabric. Material - Supreme quality polyester mesh.Comfortable to wear.Available in Blue, Orange, Pink, Maroon, Fluorescent Green.Ideal for identification and differentiation of teams in team sports. SAS is a leading brand of sports goods. Manufacture &Supplier of all Types of Sports Commodity. SAS Sports Training Large Bibs Pack of 12 Bibs.Light Weight and breathable.Ideal for all types Of physical Education purposes.100 % Polyester Fabric. Material - Supreme quality polyester mesh.Comfortable to wear.Available in Blue, Orange, Pink, Maroon, Fluorescent Green.Ideal for identification and differentiation of teams in team sports. SAS is a leading brand of sports goods. Manufacture &Supplier of all Types of Sports Commodity. SAS Sports Training Medium Bibs Pack of 12 Bibs.Light Weight and breathable.Ideal for all types Of physical Education purposes.100 % Polyester Fabric. Material - Supreme quality polyester mesh.Comfortable to wear.Available in Blue, Orange, Pink, Maroon, Fluorescent Green.Ideal for identification and differentiation of teams in team sports. SAS is a leading brand of sports goods. Manufacture &Supplier of all Types of Sports Commodity. SAS Sports Training Small Bibs Pack of 12 Bibs.Light Weight and breathable.Ideal for all types Of physical Education purposes.100 % Polyester Fabric. Material - Supreme quality polyester mesh.Comfortable to wear.Available in Blue, Orange, Pink, Maroon, Fluorescent Green.Ideal for identification and differentiation of teams in team sports. SAS is a leading brand of sports goods. Manufacture &Supplier of all Types of Sports Commodity. Packaging Details: The Package Contains Pack of 12 Bibs. 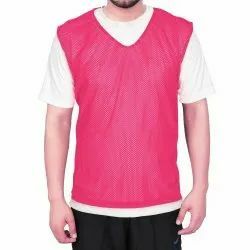 SAS Sports Training Extra Large Bibs Pack of 12 Bibs.Light Weight and breathable.Ideal for all types Of physical Education purposes.100 % Polyester Fabric. Material - Supreme quality polyester mesh.Comfortable to wear.Available in Blue, Orange, Pink, Maroon, Fluorescent Green.Ideal for identification and differentiation of teams in team sports. SAS is a leading brand of sports goods. Manufacture &Supplier of all Types of Sports Commodity. SAS Sports TrainingMedium Bibs Pack of 12 Bibs .Light Weight and breathable.Ideal for all types Of physical Education purposes.100 % Polyester Fabric. Material - Supreme quality polyester mesh.Comfortable to wear .Available in Blue ,Orange ,Pink ,Maroon , Fluorescent Green.Ideal for identification and differentiation of teams in team sports. SAS is a leading brand of sports goods .Manufacture &Supplier of all Types of Sports Commodity.